This is a watch that will stand out in your collection. 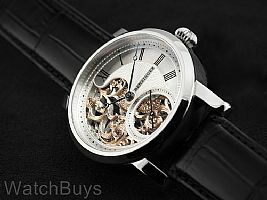 Be sure to expand the images above to see a watch that is so unique we have difficulty in describing its features. 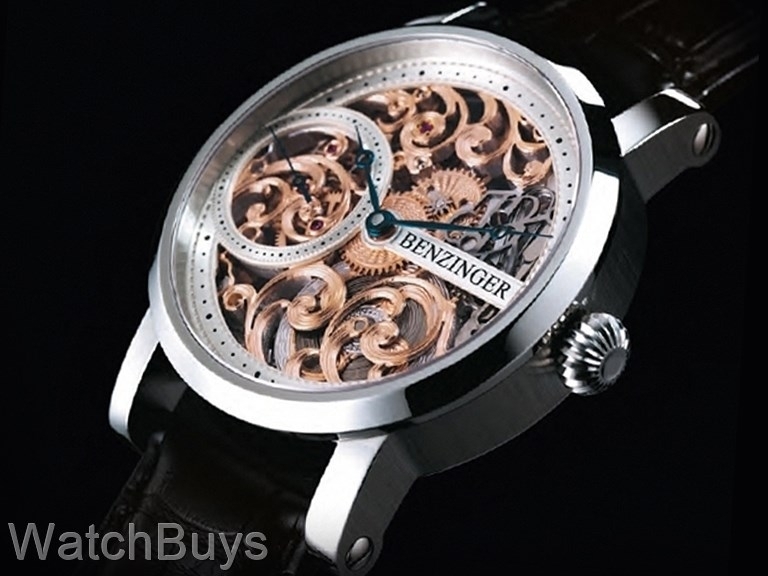 The dial seems to blend from skeleton to guilloche and back to skeleton. 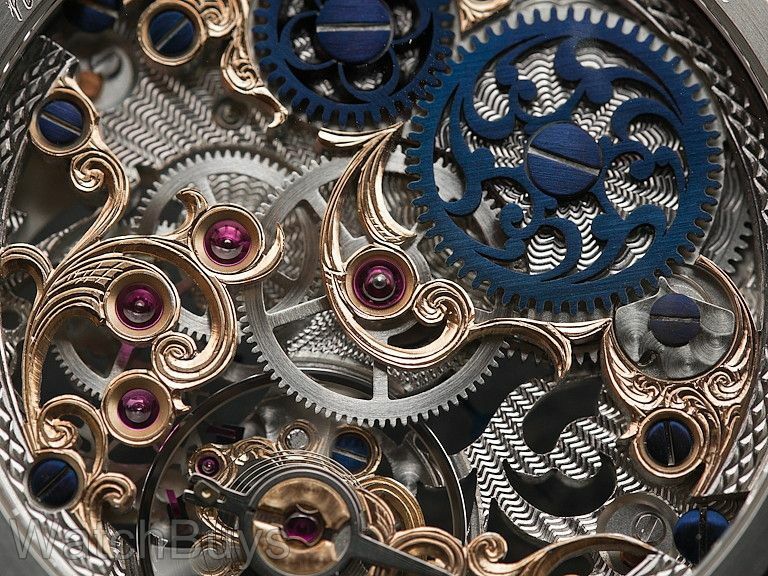 This watch features a hand guilloched dial like none we have seen before, while the movement is hand skeletonized and hand engraved using many patterns and complementary colors. 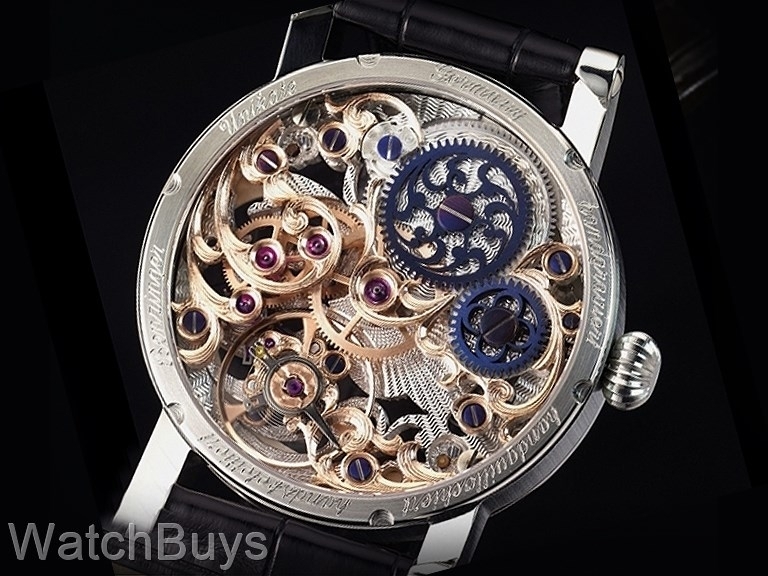 Verified Owner Comments: I have been eying this watch for the last year before buying it. When it arrived, I was ecstatic that it was even more beautiful than I could have imagined. 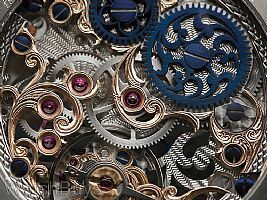 It is really a piece of art and knowing that it was crafted by hand gives it a 'soul'. 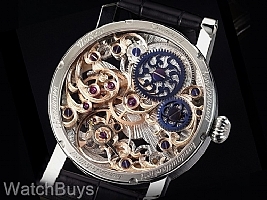 I was also extremely pleased with the professionalism of the staff at WatchBuy.com. They were very helpful and knowledgeable in the buying process. Also, I ordered my watch with a black strap but it came from Jochen with a brown one. They threw in a black strap at no cost on their own volition. Great service. Verified Owner Comments: I have one!